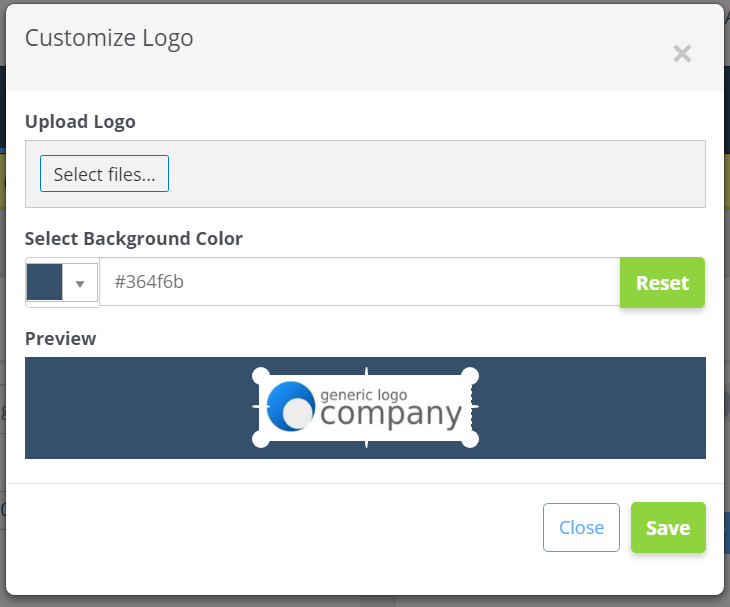 By clicking "Select Files" you can upload your logo. The logo will appear in the Preview window shown above, and you can adjust the size of the image from there. 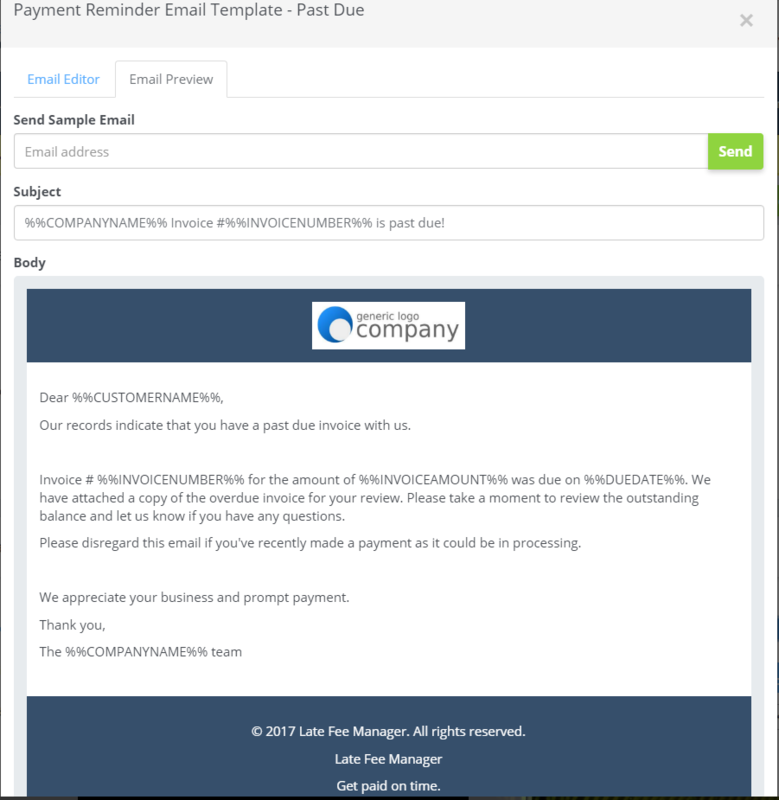 You can also choose a background color that will display in the header and footer of all emails sent on your behalf from Late Fee Manager. 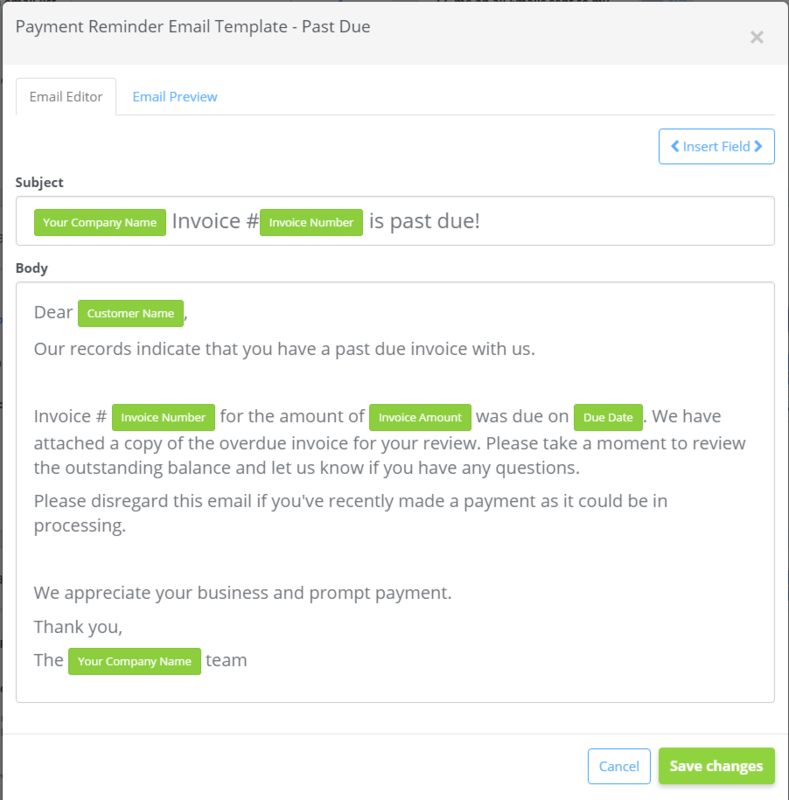 Each template comes with a default email message, but they are all completely customizable. 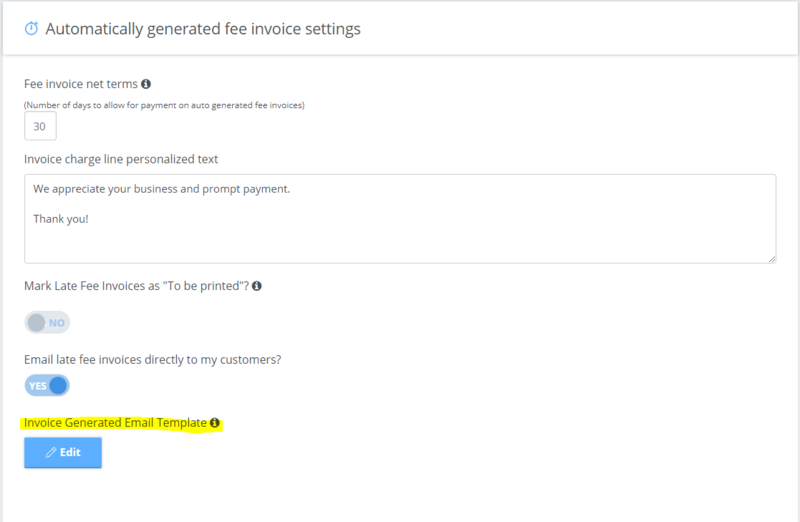 At the end of this article there are instructions and screenshots of where to find each of email the templates listed above, but to walk you through how to personalize any email template, I'm going to use #4, the Payment Reminder - After Due Date as an example. Click the "edit" button of the email template you want to work on. This will bring up the email template window. There are two tabs in this window, Email Editor and Email Preview. 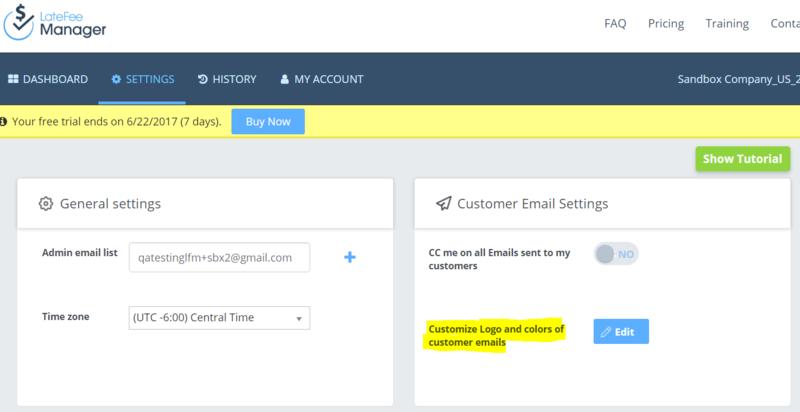 Email Preview shows you what the email will look like to your customers. From the Email Preview tab, you can also send yourself a sample email. Once you are happy with how your email looks and reads, simply click "Save" at the bottom of the email template window.